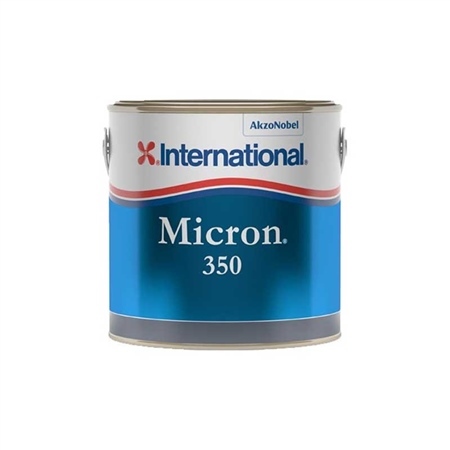 International's Micron 350 is a premium antifouling, offering outstanding 2-year protection in all conditions. A new formulation ensures truer colours, while Self-Polishing Copolymer technology delivers consistent performance. Practical coverage is 9m² per litre and 2-3 coats are recommended when using a brush or a roller. Suitable for seawater, freshwater and brackish water use. Available in a 750ml tin in a variety of colours. Self-polishes for consistent protection even while stationary. Outstanding performance in all conditions. Quick-drying, easy to apply and extremely durable.